Reports on the casualties from the strikes vary, with the Syrian Army Command claiming three deaths and Syrian Observatory for Human Rights saying that 23 military members were killed. An Israeli military spokesman said the barrage was a response to the 20 rockets that Iran fired at its positions in the disputed Golan Heights territory. If confirmed, it would be the first time Iran has directly fired on Israel after years of fighting proxy wars. Those rockets either missed their targets or were intercepted by its Iron Dome air defense system, the spokesman said. The escalation in fighting between Syria and Iran follows a ratcheting up of tensions after President Trump’s withdrawal from the Iran nuclear deal, a move that Israel supported. Shortly after Israel’s overnight strikes, the White House put out a supportive statement. 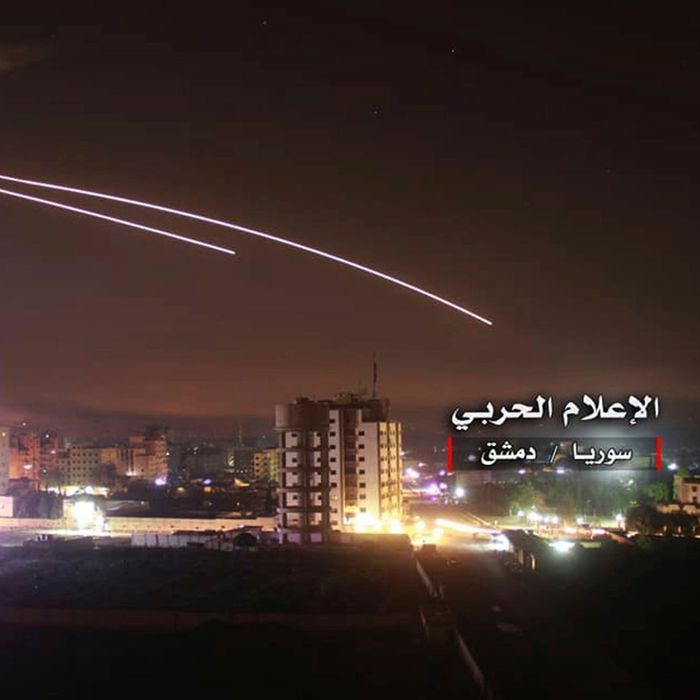 “The United States condemns the Iranian regime’s provocative rocket attacks from Syria against Israeli citizens, and we strongly support Israel’s right to act in self-defense,” the statement said.